Here you will find all the information you need to plan your next visit to this beautiful mountain oasis. In the lodging section you will find links to all of the best hotels along with information regarding their rates and amenities. If you prefer to camp, our camping and RV Park section will help you find a great place to park your RV or set up your tent. Also, be sure to check out the activities page for detailed information on all of the local ski resorts, as well as other fun things to do such as golf, ice skating, snowshoeing, snowmobiling, hiking, water skiing, hot air ballooning, guided tours, museums, and fishing. The activities page is also a great place to learn more about special attractions such as the Utah Olympic Park, the Heber Valley Historic Railroad, and the Park City Silver Mine Adventure. If you are looking for a great place to eat, click on our dining guide for a list of local restaurants. 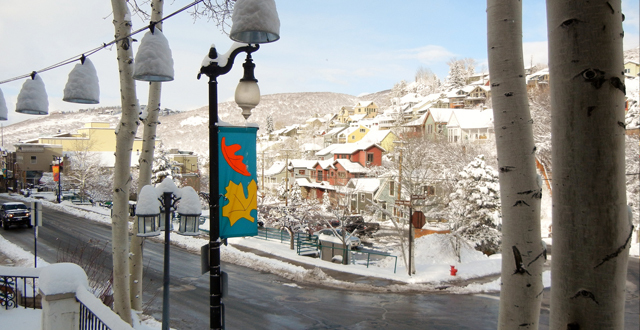 This site will also help with information about Park City vacation packages, history, and weather. Park City is a short thirty minute drive from the Salt Lake International Airport, for detailed information on how to get here click on the map section or the transporation page. Remember that while Park City is home to the greatest snow on earth, it isn’t all that Utah has to offer. As home to seven National Parks, 45 State Parks, and 22 major lakes there is an adventure waiting for you around every turn. So, as long as you are in the area be sure and check out these other hot Utah travel spots: Bryce Canyon National Park, Grand Canyon, Arches National Park, Capitol Reef National Park, Lake Powell National Recreation Area, Canyonlands National Park, Zion National Park and Escalante Grand Staircase National Monument. For lodging near these locations visit the city guides for Las Vegas, Nevada, Panguitch Lake, Duck Creek Village, Cedar City, Brian Head, Kanab, and St. George.